An attractive Victorian over mantle with a grey paint finish. 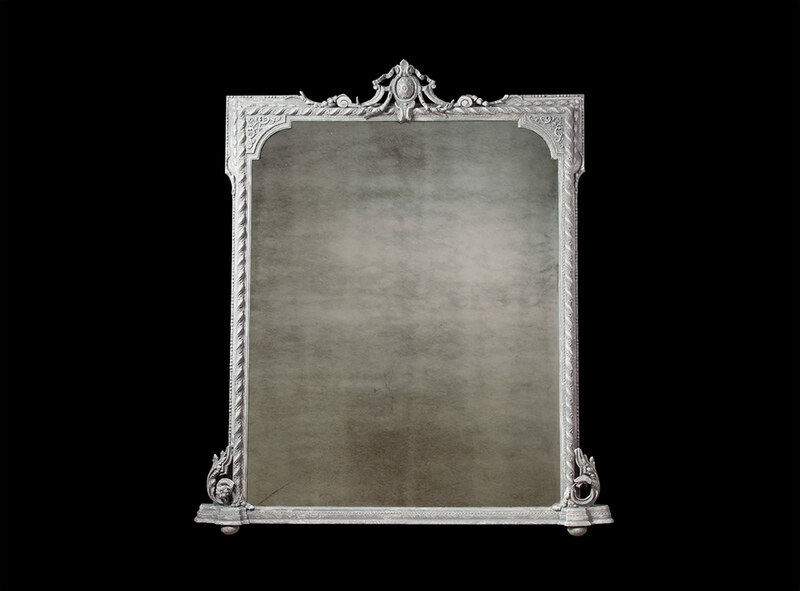 An antique over-mantle mirror from the mid Victorian period. The wooden frame has been finished with a period grey colour.